Editor’s note: This week in advance of the Daytona 500, NASCAR.com will look back at some memorable race victories and detail the odds the winning driver had, and which driver in the 2019 field most correlates. Kurt Busch was on plenty of preseason lists entering the 2017 season, although likely not the ones he wanted. Think in line of the “Best driver to never win the Daytona 500” discussion. The veteran Busch was widely regarded — and still is — as one of the best racers in the garage when it comes to the unpredictable Daytona and Talladega tracks. The well-documented issue, though, was that Busch, then entering his 17th full-time season, had never won at those tracks. Yes, the win column then read “0” — especially troubling because Busch had made 63 combined Monster Energy Series starts at those tracks entering the 2017 season. But the Stewart-Haas Racing driver kept his battered No. 41 Ford on the track despite plenty of battle scars, put himself in position late and then pounced when leader Kyle Larson ran out of fuel on the final lap. The win was the first race that featured stage racing and came with Monster Energy on the car in the brand’s first race as NASCAR’s entitlement sponsor. Busch was slated at 35-1 odds for this race, making for a nice payday for bettors who trusted in the veteran. No driver is listed at exactly 35-1 odds, but the closest pick here is Kyle Larson at 28-1. 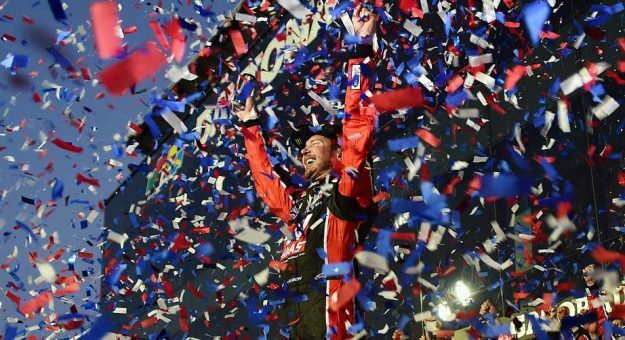 Yes, the driver Kurt Busch passed on the final lap for his lone Daytona 500 win two years ago most resembles Busch’s Las Vegas odds for this year’s running of the Great American Race (Feb. 17, 2:30 p.m. ET, FOX, MRN, SiriusXM NASCAR Radio). Like Busch, Larson doesn’t have a win at either Daytona or Talladega — although he’s made just 20 combined starts at those tracks, far fewer than Busch. But also like Busch, he’s considered one of the most purely talented drivers in the garage. 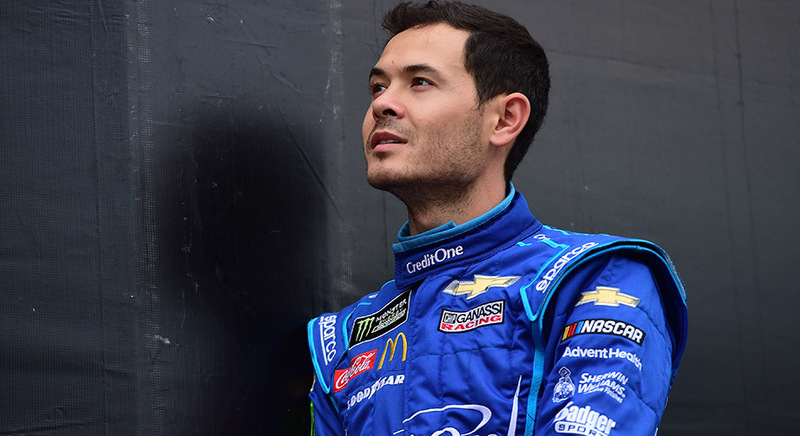 Larson is looking for his first win since 2017 after going winless last year.